I’ve been a tester for WP Rocket plugin for months and feel great with it. I’m using it for DeluxeBlogTips and haven’t found any problems. It helps me a lot in optimizing website performance, so today I’m going to write a review to introduce this great plugin and share my opinions about WP Rocket. Saying at its own website as a caching plugin, but I think it should be introduced as a WordPress plugin for better website performance. WP Rocket is a new plugin that do almost everything for you to have a faster website: caching (including mobile caching), optimizing images, lazy load, CDN, minifying, etc. But the main thing here is it does its job quite well! Let’s discover some main features of WP Rocket. When I say minimal, I mean you don’t have to do anything to enable or adjust plugin options to make cache works! It’s enabled by default and is ready for you. That’s really good for me. I remember when I used W3 Total Cache, it always took me about 10 minutes to configure the plugin. It was less when I used WP Super Cache. That’s small amount of time, but if we have to do that for several websites, it’s not funny. Install WP Rocket and get everything ready is a really good point in term of UX. I love it, it saves me lot of time reading the settings and configuring. It’s worth mentioning that the caching functionality works as well as WP Super Cache or W3 Total Cache does, with less pain! Of course the plugin still have advanced options for me if I want to make it better. But from my experience, the basic settings is good enough. When you read until here, you might think that there are plenty of plugins that can do the same job and maybe better like WP Minify, Better WP Minify, etc. Believe me, I tried all of them and none worked here at DeluxeBlogTips! I’ve been searching and adjusting plugins’ options to make minification and concatenation work, even change the PHP code of plugins, but still no luck. You know to get 90 score at PageSpeed is not very hard, but get 95+ score is really hard. Combining all JS and CSS files into one is a must if you want to get 95+ score. Thanks to WP Rocket, I did that! WP Rocket integrates with image lazy loading, which helps reducing loading time of your website. Images are displayed only when we scroll to it. 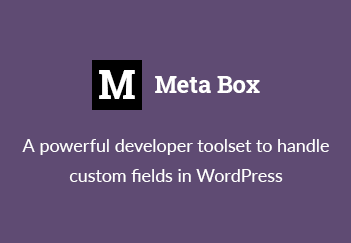 This term is not new, it’s just worth mention that WP Rocket has all tools in 1 place for you! Besides that, the plugin also adds image attributes like width and height to make it render faster in browsers (this is recommended by PageSpeed). If you are still stuck with dozens of caching, minifying plugins and don’t know to make all of them work together, you should take a look at WP Rocket. As I’m happy with it, I guess you will be! Nice share, Tuan Anh. Will give it a try. What is your thoughts about the developers site not using it’s own caching plugin but instead using the free w3 total cache… I find that odd. Today I’ve tried this plugin and it seem awesome ever seen in any cache plugin, but I’m still waiting for fragment caching on WP Rocket (now only W3 Total Cache having this feature). Nice! Do you know which “fragment” does W3TC support caching? Thanks for sharing this plugin. I gonna use this plugin and want to see the results how much it change site performance. Before it, I had used W3 Total cache plugin and I still using it. W3TC is also a wonderful invention for making web performance better. W3TC is great. If you’re using it and feel comfortable with it, it’s fine to keep using it. The WP Rocket plugin has a (maybe the only) advantage is its simplicity.